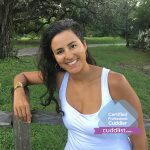 In this episode of Cuddlist Talks with Janet Trevino we explore what it really takes to be a Cuddlist. These qualities are essential to your success as a Professional Cuddler and your success at understanding your own strengths and weaknesses that you might need to improve on. Here we break this down with four essential qualities as well as bonus qualities at the end. Enjoy! If you come off as too strong, then you come off as cold and off putting. If you are a people pleaser and you just roll with them flow then people don’t take you seriously and that doesn’t create a sense of safety. You need to find a balance between both. This happens by having the strength to know who you are and what you want, while at the same time being open and comforting to others when they need you to be. “When they come and knock on my door, I get to see them exactly as they choose to present themselves to me and that is a gift.” In this world of division, it’s important to see and hear you in the moment without knowing everyone’s thoughts and views on the world. We are just two people who need touch without labels. This work allows people to unload and be seen. Be supportive as possible when a client is going through the process of unfolding. However, because you offer the space of unfolding does not mean it’s your job to rush in and fix your clients. You may build a foundation of consent and trust where they will let you offer suggestions which is fine. Just remember you are not their therapist and as such it’s not your responsibility to tell them what they should or shouldn’t do in their lives. Just be there for them for when they need a shoulder and time to just break away. We have a Code Of Conduct and it allows us to process in a non-sexual manner. This is because Cuddlist is a non-sexual service. We have parts of our bodies that are off limits. Sometimes people try cross that line. It’s your responsibility to break away from the space a bit and remind your client about your boundaries but to do so in a positive manner that doesn’t alienate your client.